The ex-chairman of Vietnam Rubber Group and four of his subordinates are the latest casualties of Vietnam's corruption crackdown. 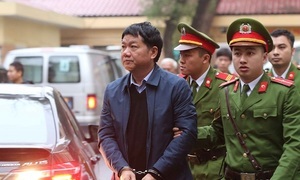 Vietnamese police on Tuesday pressed misconduct charges against five former officials of the state-owned Vietnam Rubber Group (VRG) and placed them under house arrest as part of a widening corruption crackdown that has net a slew of officials. 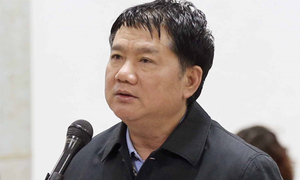 Former chairman Le Quang Thung is charged with "deliberate violation of economic regulations causing serious consequences" at VRG and its member units Dong Nai Rubber Company and Phu Rieng Rubber Company, the Ministry of Public Security said late Tuesday. The four other officials who headed VRG's member units are facing similar charges. 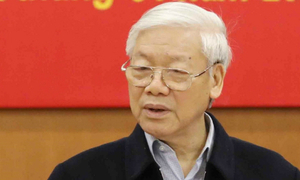 The charges were leveled against the officials less than two weeks after Prime Minister Nguyen Xuan Phuc called for a report on potential fraudulent activity at VRG after government inspectors discovered misuse of state capital and assets at the group three years ago. In a report of its inspection into VRG in 2014, the Government Inspectorate concluded that violations at the rubber giant had caused losses of nearly VND8.4 trillion ($370 million). Between 2006 and 2011, the group was found to have spent over VND2.42 trillion, or 13 percent of its charter capital, on non-core businesses, such as cement, hotels, steel, hydropower projects and the stock market. Most of the investments came from the state budget, but the group reported that it did not generate any profits. Some VRG leaders were also found to have contributed capital to establish and run a seafood import-export firm in the southern province of Dong Thap. They also had the group's member units invest in the firm without approval. VRG also raised its charter capital in 2010 and 2011 without government approval by VND1.84 trillion. Although the inspection was aimed at handling individuals and groups that committed fraud, VRG has yet to be held accountable. Last Friday, the country was riveted as the Ministry of Public Security arrested Dinh La Thang, Vietnam’s once-rising political star, for a series of “serious” violations and mismanagement while he was chairman of PetroVietnam from 2006 until 2011. He was kicked out of the then 19-member Politburo, the Party’s decision-making body, in May and later fired as the top leader of Ho Chi Minh City. Several other former oil executives, including Thang's younger brother, have also been arrested and prosecuted.